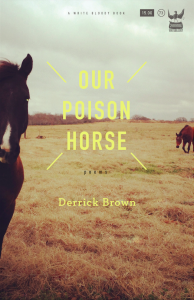 “Our Poison Horse” is published by Write Bloody Publishing. For close to two decades Brown has crisscrossed the globe, changing people’s perceptions about the importance, accessibility, and relevance of poetry. 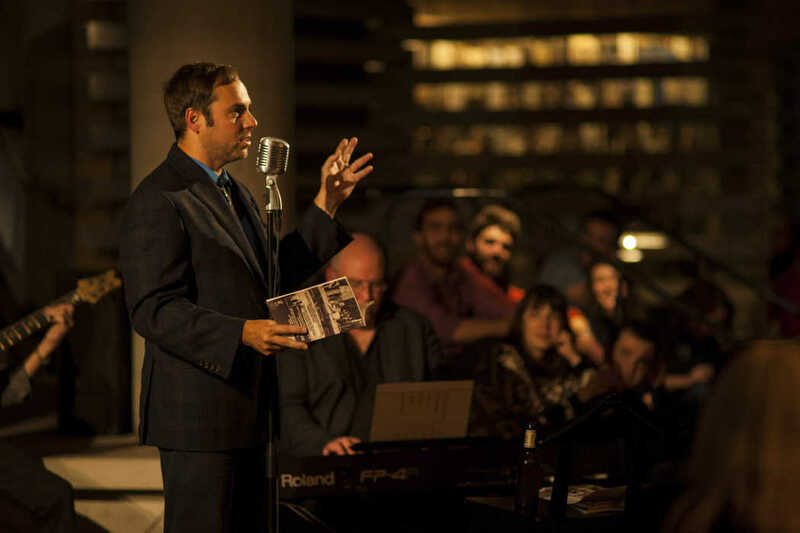 He achieves this not only by reading his work aloud, but by understanding the reading of his work to be just one part of a larger live experience. Often, his readings have a musical complement. Many of these pieces were created in one weekend with Cottage Grove-based musician Richard Swift, who has lent his talents to the Shins and the Black Keys. According to Brown, the creative and musical weekend was fueled by tequila and fried chicken. “I kept throwing him feelings like a metaphysical weirdo and he kept nailing all the soundtrack material that back me up—and fast,” reveals Brown. Similar sessions occurred with Oregon resident and composer Timmy Straw and New York-based experimental multi-instrumentalist Emily Wells. “I am lucky to use their juice,” is how Brown explains it. the less love letters you get. Oh God. Me too, I say. A bridge crosses the Mississippi. like a tent flap in the breeze. So he could finally feel dumb? So we could see you? So you could suicide note all of us with genius entrails? Because hard earth is less scary than the dark, forgiving rivers? Because the soil could push out what you couldn’t? and I don’t know any of the titles on the white shelves. I wanted to cry. I tried so hard. Poetry didn’t take your life. and the hissing fuels of night. Did going inside kill you? I smile dumb. Is everyone dead? for action to be called in a catastrophe film. having to check chairs for the rest of your life. I helped her up. Swung open the glass door. This chair is from the forest of assholes. so she could fix it.